A man killed in a skydiving accident at the Byron Airport in Contra Costa County on Saturday was an experienced jumper who had a lapse in judgment, a skydiving teacher said today. Donald Brown, 43, of American Canyon, was attempting a maneuver called "swooping" when he hit the ground at a high rate of speed, Bay Area Skydiving owner and operator Clay Bonavito said. Contra Costa County sheriff's deputies responded to the airport at about 7:40 p.m. Saturday, sheriff's spokesman Jimmy Lee said. Brown was pronounced dead at the scene. The move Brown was attempting is a common maneuver among experienced jumpers, Bonavito said. He described "swooping" as a move in which jumpers make a high-speed turn closer to the ground in order to skim the ground as they land. "It's fun for them to swoop," Bonavito said of regular jumpers. "It's like skating on the ground before you land." Brown, a jumper with about 20 years of experience, was "the kind of guy" who attempts swooping, Bonavito said. He said everything Brown did in his jump was executed well up until his final turn. "It's unforgiving when you make a mistake," Bonavito said. "He had a plan and he didn't stick to it. His final turn was too close to the ground." At the time of the accident, Brown was wearing all the proper materials and his equipment was functioning properly, Bonavito said. In his 15 years of jumping at Bay Area Skydiving, Brown never showed poor judgment while jumping, Bonavito said. He said accidents are rare. Bonavito said Bay Area Skydiving mostly deals with skydiving students and tandem jumping. However, a small group of experienced jumpers who congregate regularly at the drop zone have formed a tight-knit, family-like group, he said. "Everyone knows everyone here," Bonavito said. "It's very unfortunate and very sad." Bonavito said Brown would often go to the drop zone to jump with friends. Brown is survived by his sister and mother, who live out of state, and his fiancee, Bonavito said. He was not aware of any memorial being planned yet. 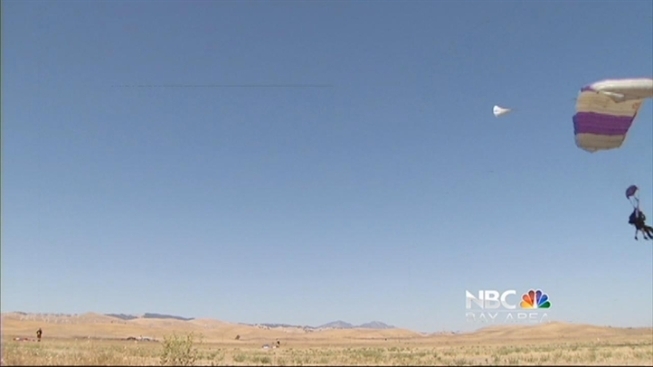 NBC Bay Area's Elyce Kirschner did an investigation on skydiving safety. That report is at the top of the article.